This afternoon Family Tree DNA (FTDNA) announced it would have another sale when it received an additional 3,000 likes on Facebook. That was about 7 hours ago and it appears that they have received almost 300 since then. It is unclear whether this sale will be for new customers only, for upgrades by current customers or both. If you have been thinking about testing yourself or someone else, you may want to watch this promotion. I can only assume that this is an attempt to attract younger customers who are more into social media than some of their traditional middle aged plus genealogist clients. 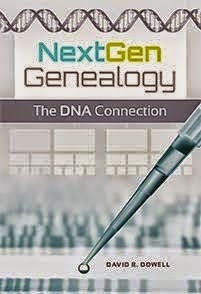 Whether you should test and what test you should take depends on whether or not you have a genealogical question that a DNA test might help to answer. An entry level test on either your Y-chromosome (paternal line) or mitochondria (maternal line) may be conclusive to eliminate you as a match with another person. However, a more extensive one will be required to have any confidence of a positive match. To test possible matches within the last few generations on lines other than your direct paternal or direct maternal lines, the Family Finder test may be best. Again, it all depends on what question you are trying to answer.